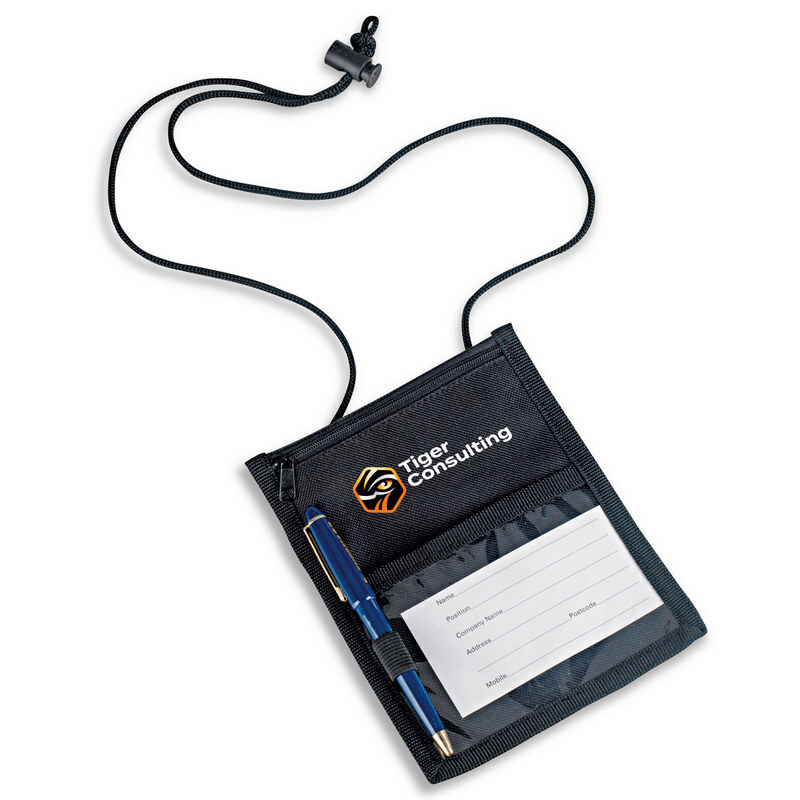 Description: Identify your delegates easily with the smart and functional Platform Neck Wallet, including pen and belt loop for their convenience. Zippered main compartment | Clear vinyl ID window | Slip pocket on back | Elastic pen and belt loops | 600D polyester with PVC backing | Neck rope with toggle. Size: 14cm w x 18cm h,11.7cm w x 8.6cm h (window size). Colours: Black. Decoration Areas: Supacolour | Screen Print.